These Anti-Fracture Mats are suitable for use with a wide variety of tiles including Ceramic, Porcelain and Natural Stone. This three layer anti-fracture/uncoupling mat is effective at absorbing and accommodating substrate lateral movement. This limitation of substrate movement helps to minimise the chances of tiled surfaces cracking. These premium quality Anti Fracture Mats are suitable for both domestic and commercial properties. 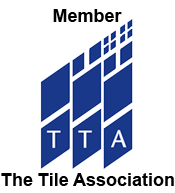 You can simply cut and place these mats on to the substrate during the installation process. Please ensure the floor is free from any materials that may impair adhesion. These mats are perfect for applying upon plywood, chipboard and T and G floorboards. They are ideal for Electric Underfloor Heating systems. 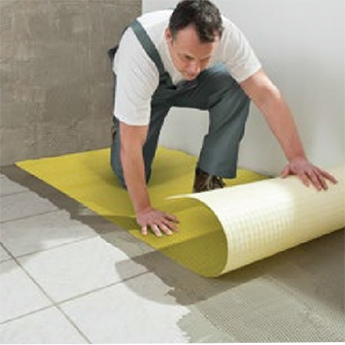 These mats can be tiled upon straight after installation. 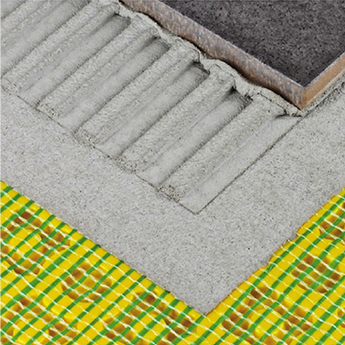 Anti-Fracture Mats are suitable for installation within busy areas which experience high levels of foot traffic. What are Tilesporcelain Anti Fracture Mats made from? These Premium Anti-Fracture mats are made from yellow polypropylene which has a mesh fabric and a backing fleece. As a result of this composition, the mats are resistant to many different chemicals including salts, acids and alkali.